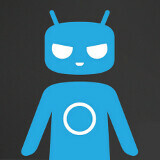 Hello, the people of PhoneArena, this here Cid - CyanogenMod mascot. Nice to meeting you! Pleasing you to sorry for my English - I has being installing it to my internally, but a bugling interrupt my processing. I come with piece, bringing you best news of Nexus 4. The awesome people of Cyanogen have now published a nightly building, basing it on the Android 4.2 platformer. I am warning you, although, this is one of not so stable buildings, and you may find some bugs in it. Although, I do not understand what is being the wrong with bugs. They are good to eat on breakfast - just making sure to drown them in oil at first. If you are not minding them buglings, although, I'm doing promise you will have it real funny with Cyanogen's nightly building of Nexus 4. Pleasing you to proceed to download page below! Download CM10.1 nightly for Nexus 4! lol I like you guys.